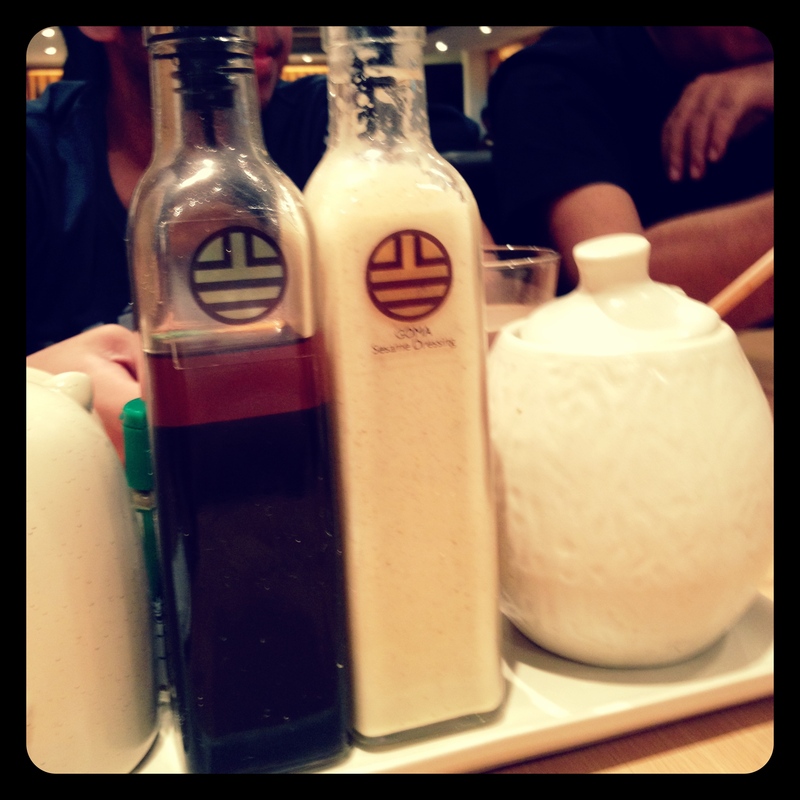 Food Trip: Yabu House of Katsu | Viva La Vida! We often frequent SM Megamall due to its proximity to the house and its know for its numerous stores, making it a one-stop shop for shopping. As much as we go there almost every Sunday, there’s actually one restaurant we missed out to have lunch and finally we got to try it last Sunday. 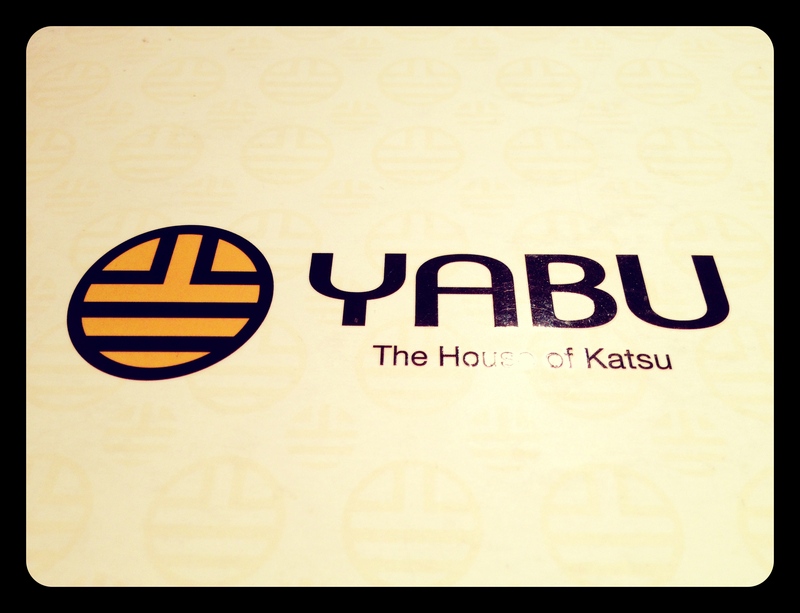 Yabu is the first and only authentic Katsu restaurant in the country. We had our doubts first before ordering because we weren’t fond of orderingtonkatsu (breaded pork on rice) in other Japanese restaurants, so I was worried that I made the wrong choice in picking the restaurant. The restaurant itself was very spacious and the tables were generally private with dividers separating us from our next door neighbors. The place was bright and not too noisy. We were lucky to have gotten lunch early to avoid the Sunday lunch crowd. The first thing I noticed were the condiments in the middle of table. It contained vinaigrette, sesame dressing, Japanese chili, barbecue sauce, sugar and other condiments to accompany your katsu experience. What else do you order here but Katsu? The restaurant offers different kinds of katsu, with pork as their specialty – order it either as Rosu (pork loin) or Hire (pork tenderloin). 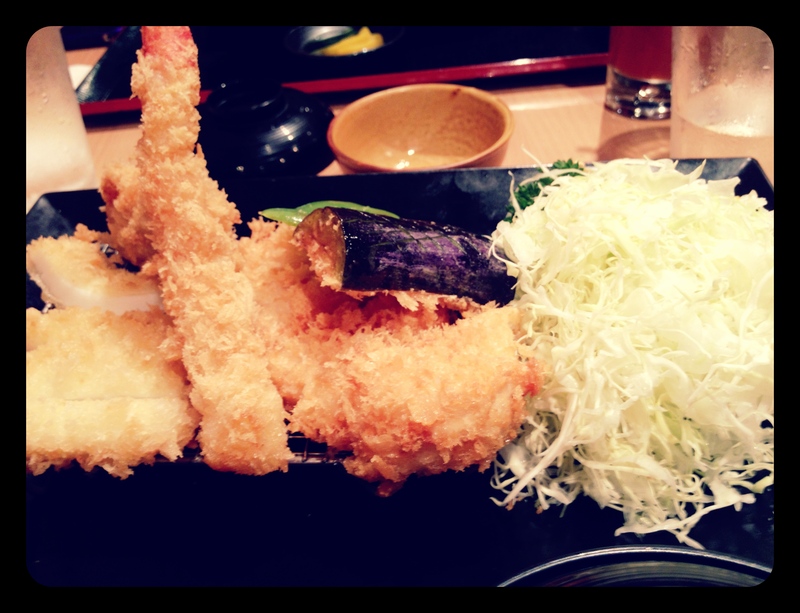 They also have other variations such as chicken, fish, seafood, ebi and vegetable. Although you can order family style, each one of us (except mom, who shared with me, dad and Juni) ordered their own tonkatsu. Each meal came complete with shredded cabbage salad, rice, a small side salad and some fruits for dessert. It was actually so good! The breading was crispy on the outside and didn’t taste like flour, but the meat inside was nice and tender, even their ebi katsu had a lot of meat in it. Add a little barbecue sauce and you’re good to go. The secret lies in its fresh, quality ingredients and method of cooking that has been passed on by Chef Kayuza Takeda – head chef of Tonkatsu Takeshir, a popular tonkatsu restaurant in Tokyo. Much thought goes into the cooking process – its all in the little details. Each piece of meat – be it pork, chicken or seafood – is delicately rolled in fresh panko flakes made daily and is cooked in one hundred percent canola oil. I definitely could taste the different from other restaurants and my family agrees so. 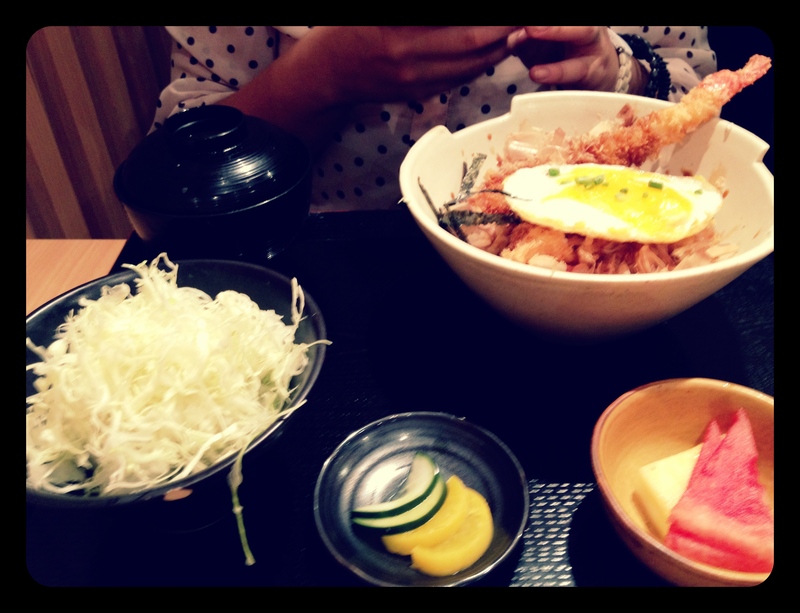 And I didn’t feel so full afterwards, the meal was just right, unlike other don buri meals. I liked the fact they gave cabbage (you top it with vinaigrette and sesame dressing) so I have an alternative to rice. Each meal costs about P300-P400. No wonder it was voted by Esquire Magazine as “Dish of the Year” in 2011. 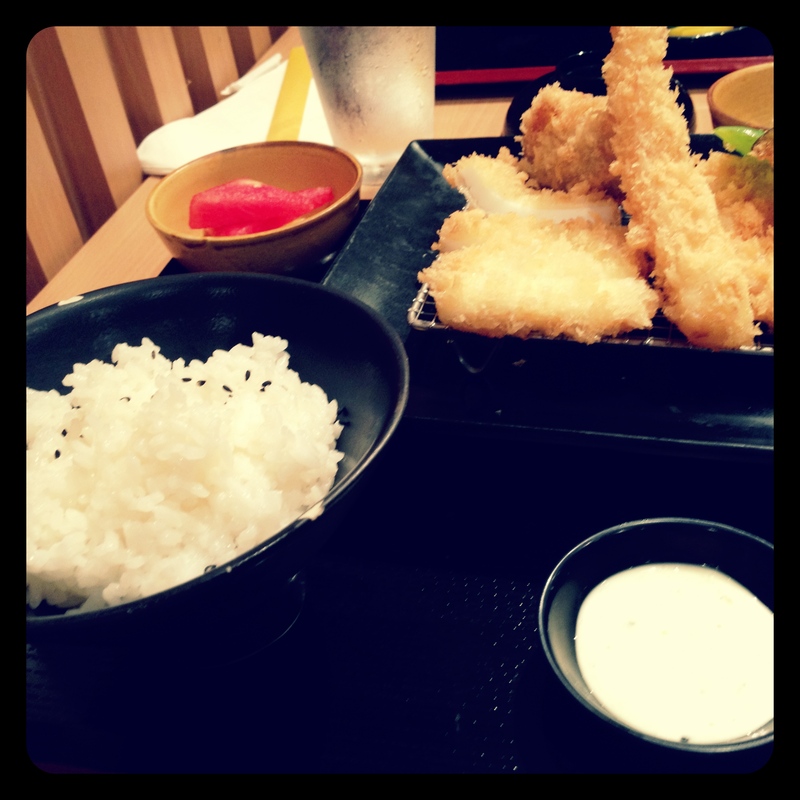 This entry was posted in Food Trip and tagged food, Japanese, katsu, Yabu by Roxanne Calingo. Bookmark the permalink. Thank you so much for the wonderful feedback Rox! 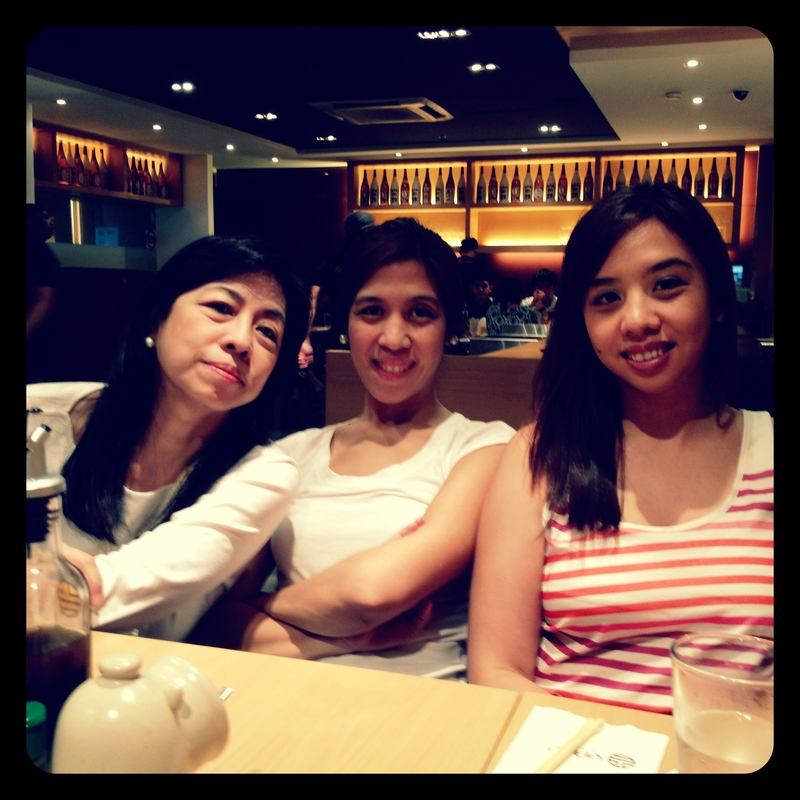 We’re happy to know you enjoyed Yabu on your first try. Looking forward to seeing you and your family again! Thank you for the good writeup. It if truth be told used to be a enjoyment account it. Glance complex to far added agreeable from you! However, how could we keep up a correspondence?